Im having a really hard time with my 95 V4. Problem is that the coolant stops circulating, causing the car to overheat and the heat from heater to stop. If the car is not moving it all works fine and can run like that for as long as ever. 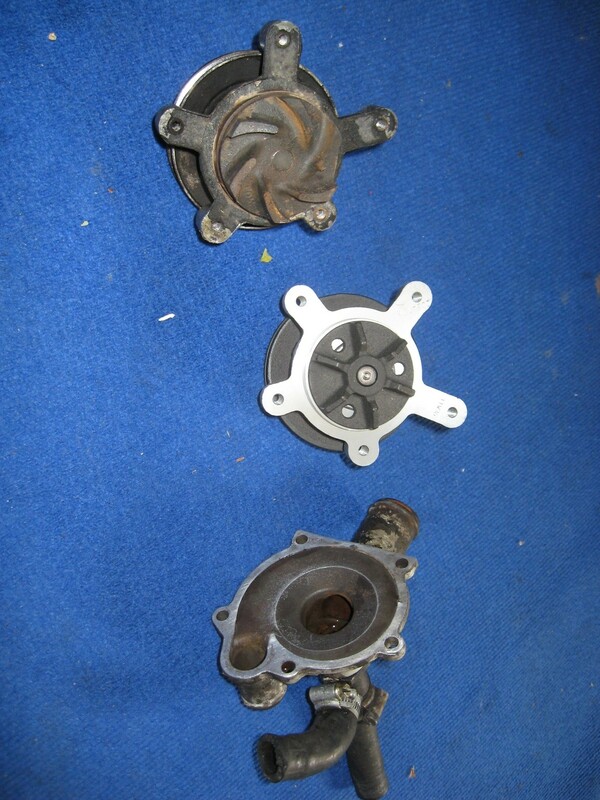 Water pump is new, with the straight vanes - is there anyone that has used this successfully? Both head gasket new, and yes they are mounted the right way. Tried to fix this for days now, it is driving me insane... Please give me some new ideas! Did you bleed the heater, brass tap on the side of the heater box? Have you checked the plumbing? The V4 cooling system has pipes all over the place so easy to get wrong. I once had 3 V4s lined up to check my pipe routing was right and they were all different! Check with a diagram in the workshop manual. If it's right then it sounds like an airlock so maybe a pipe clip is a bit loose and sucking air in when it revs? As Ianh says, bleed the heater when it's hot and the thermostat is open - you sometimes have to keep it open for longer than just the first spurt of air. The pipes i have tried to find a good diagram to check, but not found any specific enough, altough i have compared it to a sonett v4 that i also own, and the piping is identical on that one. All the pipe clips have been checked and tightened. But if it leaks, i would suspect coolant to come out as well..? I think that the problem could be that the thermostat only opens for a few seconds - its very cold here now. -17 celsius. I tried to block the radiator with cardboard to make the thermostat open longer and that worked, drove the car for 30 minutes, then all of a sudden it stopped working and i could not get it to work again. A few hours later i tried again with the cardboard, and this time it also worked, drove the car for a bit, thought "oh well its working but surely not for long". Drove home, all ok. Sounds frustrating! Maybe there is a blockage in the system? -16C sounds like ideal conditions for a Saab the heater should work well! I can only think of flushing out rad and block but if you have done that? 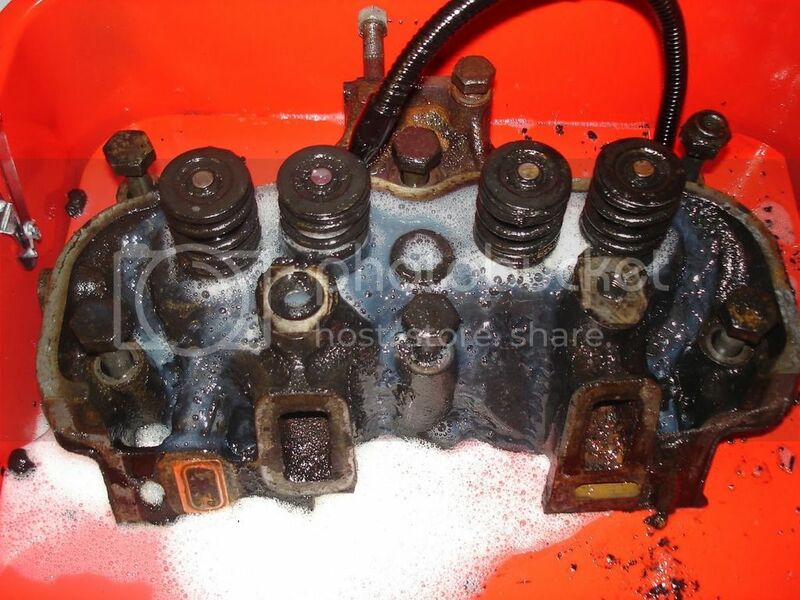 What about the inlet manifold gasket is it the correct one with a brass insert or have you used silicone gasket sealer which may have blocked the water ways? Frustrating like never before i can tell you that! I will have to remove every pipe and the radiator to check for blockage even though i dont believe that is the problem. Back to the water pump - the ones with straight vanes - have any of you used this model successfully? im thinking about replacing it just to be extra certain. I have been using a straight vane type pump on my Sonett and it has worked fine. What makes you think the coolant doesn't circulate? What make thermostat did you fit? I've had issues with new Wahler and QH thermostats not working properly. Does the system pressurise, i.e. do the rad and bottle caps seal properly? There is normally no need to bleed the system, heater fully open for a few minutes should do the job. It won't be a cure but I would try running the car with no thermostat and see what happens. I'd try the cardboard too to help with warm up. Personally, I would use cooking foil on the grille. For bleeding, you can run a length of screen washer type tubing from the heater bleed tap straight back into the rad or bottle. It can be run as long as you like that way with no coolant loss or mess. On some thermostats, the arch that goes over the top can be crushed down by the alloy cover. This causes them to jam. This is mentioned and illustrated in the manual. From memory, the arch should go across the engine, i.e. at 180º to the crank. You may be unlucky and this is the problem you are having. I can hear the pump running dry, the heat disappears and when i try to bleed the heater neither air or fluid comes out. That is why i think it stops circulating. Yes, the system does pressurize when it circulates. For the record: the issue I was having with the stats was not because of crushed arches. How old is the radiator? Are you sure it isn't clogged? When i runned her today the upper hose gets pressurized with air, but barely and fluid flows when i feel it.. Maybe there is a leak in the heads after all, but i think that should make more problems than this. Will have to check for co in the coolant. wrong head gaskets springs to mind. There was an issue some years ago with the cheap type gaskets covering up block holes. It sounds as though the copper / brass plates that purposely block one of the waterways from the head are not fitted. Omitting these will change the cooling flow dynamics by making one side of the head overheat. You can see the plate fitted to one of my rather mingy cylinder heads, bottom left. there is a very small hole (3-4 mm) in them to let air escape and allowing self bleeding.